Any move that involves a ball and a foldover! Sometimes being a doppelganger for an Oscar award-winning actress. Kamini has always had the dance bug in her soul. At the age of 4, she practiced Indian Classical Dance before finding her rhythm in hip hop. Living in Melbourne for 16 years, she performed in dance crews in hip hop, salsa, and reggaeton. However, her most memorable time was spent as a backup dancer for an Australian hip hop artist where she toured Australia and New Zealand for a year and was featured in a number of music videos. A chance opportunity to try out Xtend Barre was all it took to fall in love with the workout. 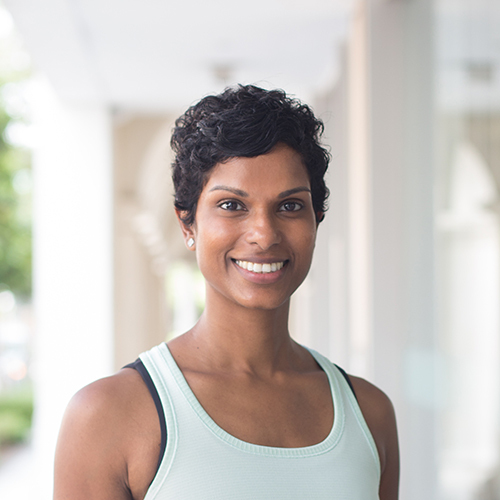 With a passion to teach and a love for fitness, Kamini jumped at the chance to become a certified instructor. Being able to combine both her loves and help even a single person work towards their fitness goals is what drives her. In her opinion, the best thing about Xtend Barre is the ability to use muscles you never knew you had in a fun and challenging way.